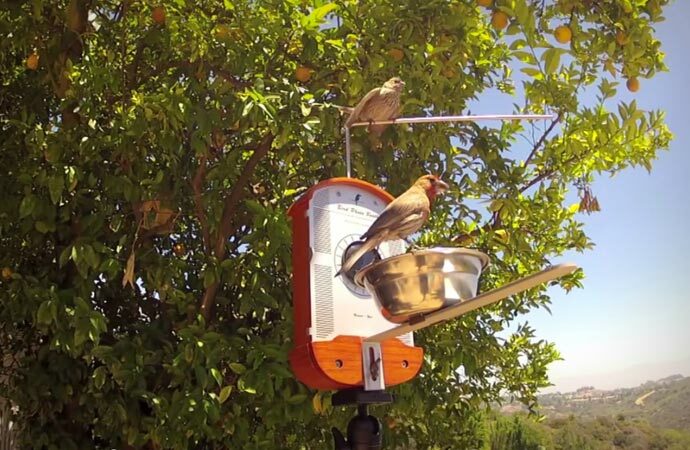 Who would say that a bird feeder can be this interesting? To be honest I was never really into all that bird watching, but when I saw the Bird Photo Booth, I loved it. 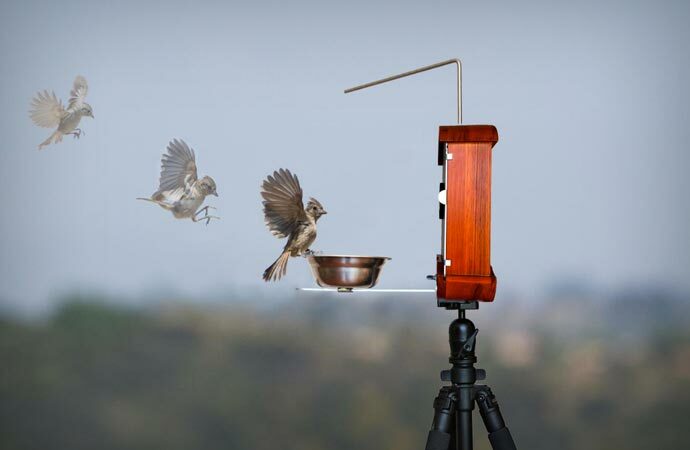 The idea came from Bryson Lovett, a dedicated bird enthusiast, photographer and inventor, who found a way to combine three of his biggest passions in one great product. Trying to get a perfect close-up of a bird is really difficult. 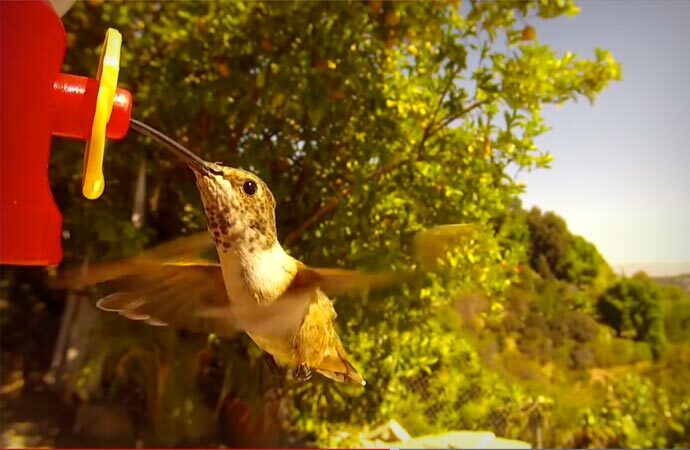 And have you ever tried getting a lens close to a bird? Not an easy task. So, Bryson chose to let the birds come to his lens. 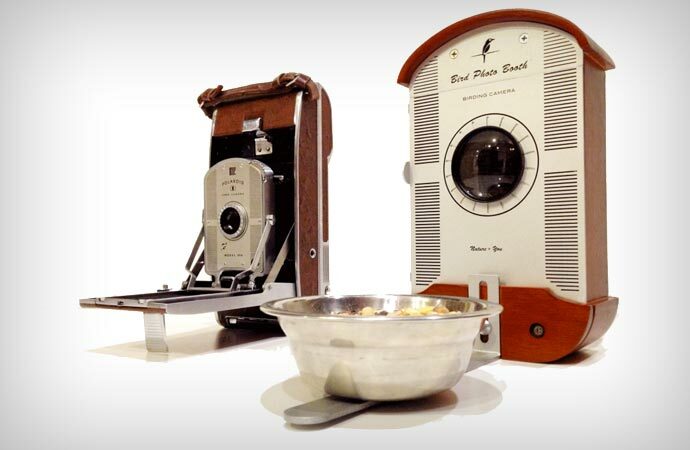 His Bird Photo Booth is essentially a retro-looking bird feeder that has space for various photo equipment, including some things that are pretty common, like an iPhone, iPod, touch and various GoPro cameras, including the amazing Hero 3, with various Android enabled devices being announced. All you need to do is place the device of your choice into the device designated interchangeable foam inserts and close the Bird Photo Booth. The birds will come to it because, well, we have already said that, it’s a bird feeder. 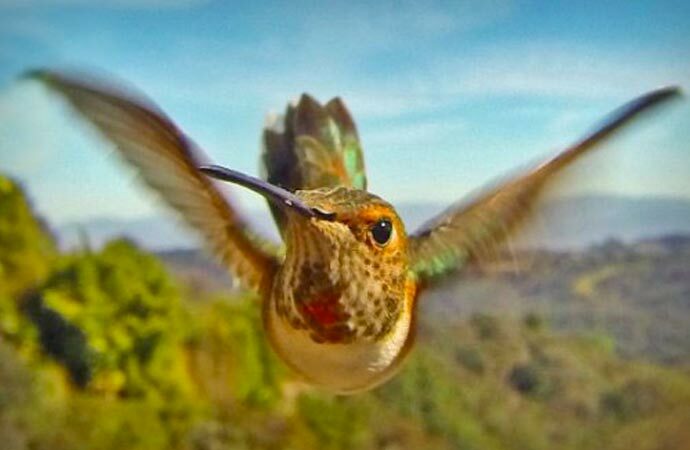 This way you will get astonishing close-ups of birds, their movements, emotions and characters that might begin to explain why bird watchers are so devoted to their hobby. The content gets streamed via Bluetooth or WiFi and thus allows you to snap whenever you want. 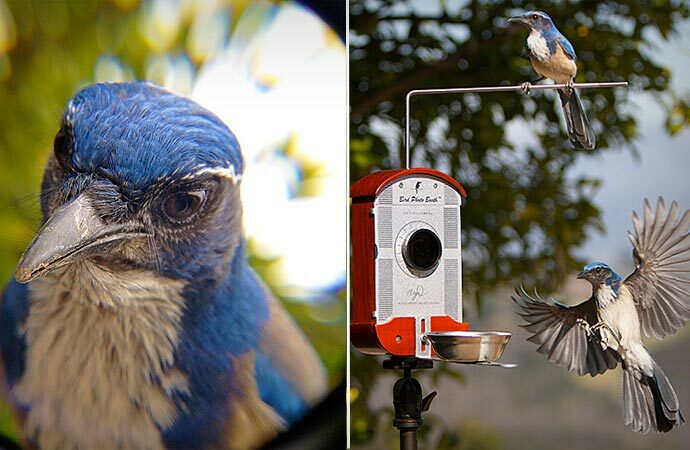 This setup enables you to watch, take photos or videos and even talk to birds. The content can also be shared instantaneously. 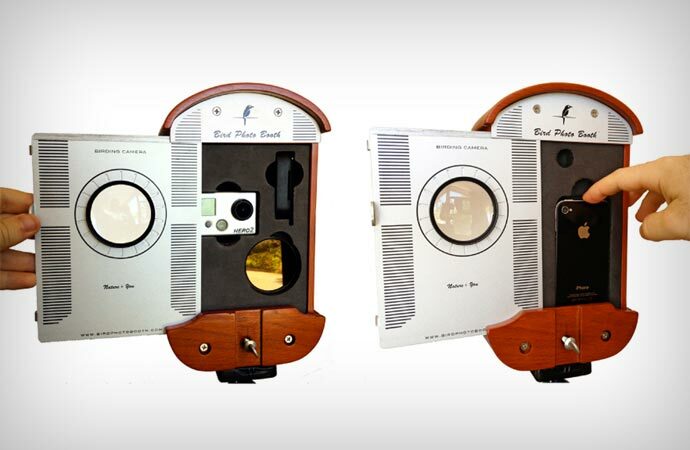 The Bird Photo Booth is made of white oak hardwood and aircraft grade aluminum and it has not one plastic part, ensuring its durability and quality performance even in adverse weather conditions. Included in the package you will get macro and polarizing lenses of high quality and Stainless steel perch rod that enables you to hang various different feeders depending on the type of birds you are after. All this comes for the reduced price of $119 on Amazon.